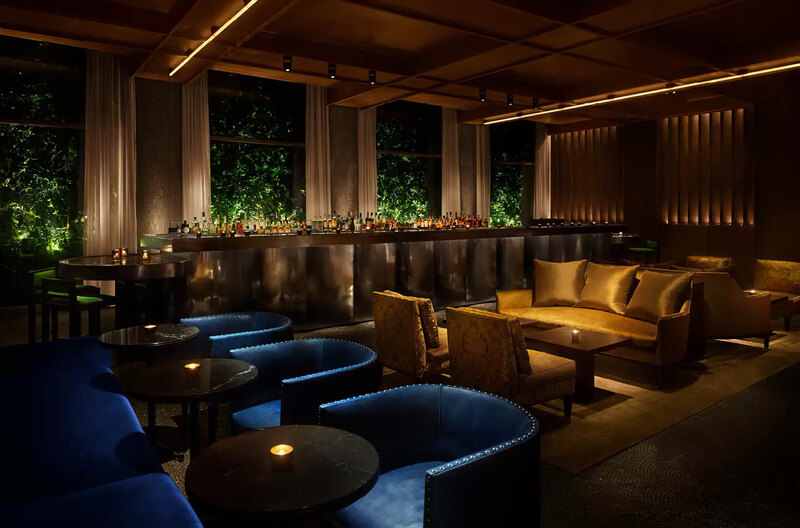 On November 7th from 6:30-8:30pm, invited guests enjoyed an evening of worldly cocktails, live jazz, and great company as Ian Schrager’s PUBLIC Hotel ‘s sophisticated and newly revamped cocktail bar, Diego celebrated a relaunch. The swanky bar was named after iconic Mexican artist Diego Rivera, who also happened to be the husband of Frida Kahlo. He was a fixture of the counterculture during the early 20th Century, and Diego’s newly revamped cocktail menu created by Ivy Mix is inspired by Rivera and Kahlo’s global travels at the peak of their careers. The new menu will reintroduce Diego as the Lower East Side’s very own salon – a space for conversation, cocktails, and a taste of the artistic spirit that was the lifeblood of the early 20th Century. The intimate bar setting features a menu by Jean-Georges, inquisitive artwork and a cozy fireplace. The small bar menu features an upscale approach to peanuts & olives, sliced fluke with pickled cherry peppers and a lime-sesame vinaigrette and classic patatas bravas with a spicy-tangy sauce and rosemary aioli.